Wild Reads | Bookworms | Kids VT - small people, big ideas! Two years ago, naturalist, writer and photographer Mary Holland received a tip from a friend about a family of bears wandering through backyards near Lebanon, N.H. The bears had been scavenging from garbage cans and bird feeders. Curious, Holland, from nearby Hartland, Vt., picked up her camera and followed their tracks. 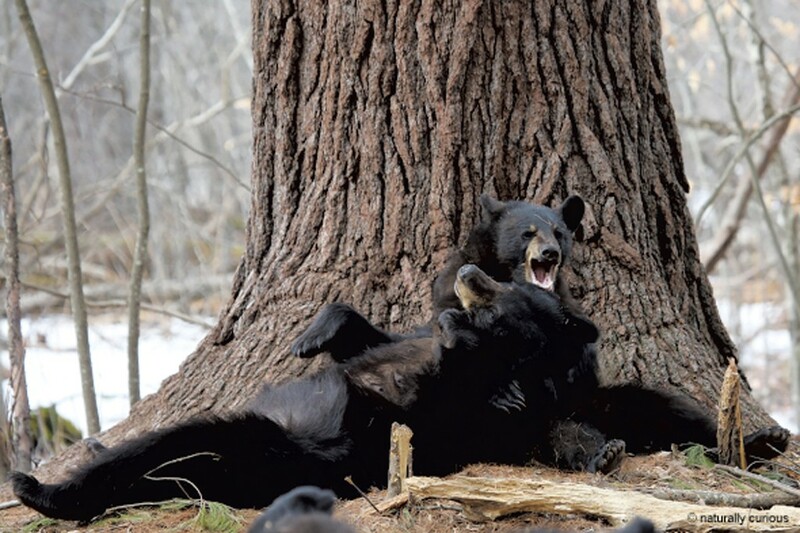 She describes herself as "ecstatic" when she came across what's known as a "babysitter tree" — a large tree where a mama bear leaves her little ones while she forages for food. For several hours, Holland observed and photographed the young black bears and their mother. Just out of hibernation, the frisky youngsters romped, while their mother hung back. Although Holland was wary of the mother bear, the cubs showed no fear. Twice, they even lay down with their mother and nursed. These close-up photos became the material for Holland's children's book Yodel the Yearling, published in February. That same month, she also released Animal Ears, the fifth installment in her animal adaptation series of children's books. From songbirds to praying mantises, Animal Ears explains how creatures who live in the northeastern United States use their ears. In all, Holland has written and photographed 10 children's books and two nature guides, which are geared more toward older kids and adults. She also writes a popular blog, Naturally Curious, where she shares photos and factual snippets of the natural world. Holland — the mother of a grown daughter and grandmother of 2-year-old Otis — offers moms and dads some advice about introducing their kids to the natural world. Grownups who have phobias of spiders and snakes should keep those fears to themselves, she says. And she urges parents to be tolerant — better yet, enthused — when their kids bring home natural treasures like animal skulls. When it comes to getting kids outdoors, "many parents hesitate because they don't know the names to everything, but you don't need that knowledge," Holland says. "Nature has so many colors, shapes and designs. Keep it very simple. You can just collect acorns or leaves and look at them. Children are naturally happy to dig in the dirt or turn over a log." 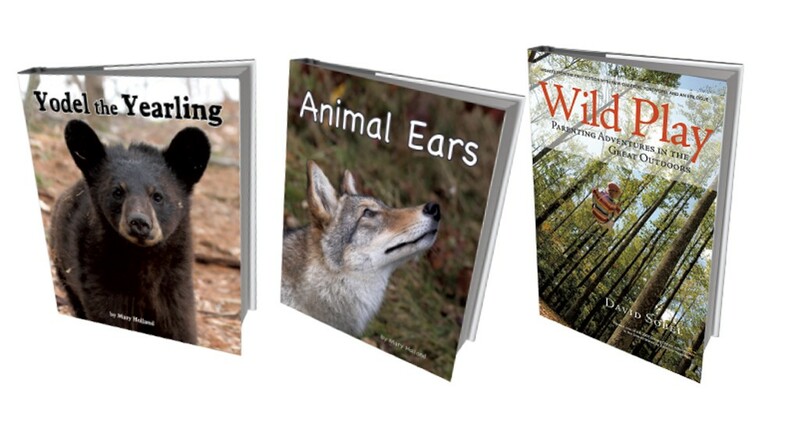 In December, Green Writers Press released an updated version of Antioch University New England education professor David Sobel's memoir, Wild Play: Parenting Adventures in the Great Outdoors, originally published in 2011 by Sierra Club Books. This collection of essays spans New Hampshire-based Sobel's own fathering experiences — from raising toddlers to interacting with grown children — while weathering divorce. Full of concrete advice, Sobel emphasizes the importance and joy of the outdoors, cultivating family rituals and encouraging empathy.